Green Grass Stamps: "Christmas Cards"
Sherry says, "I stamped tone on tone on the bottom portion of the card. Then I added a semicircle of white cardstock to spotlight the 'party hat', which was made with a Christmas tree, flower and scroll stamp. 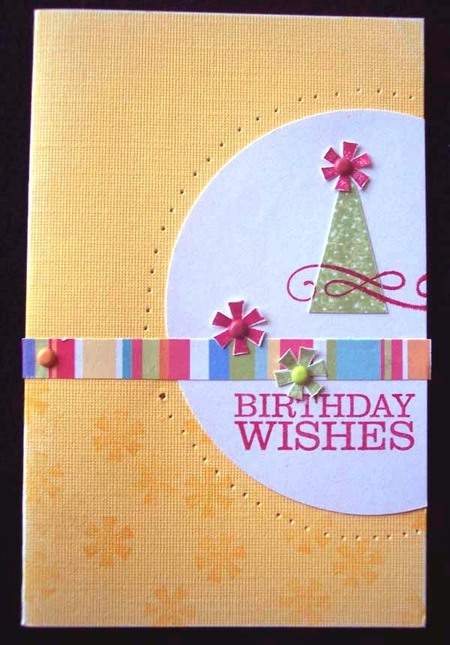 I love the versatility of GGS stamps!" 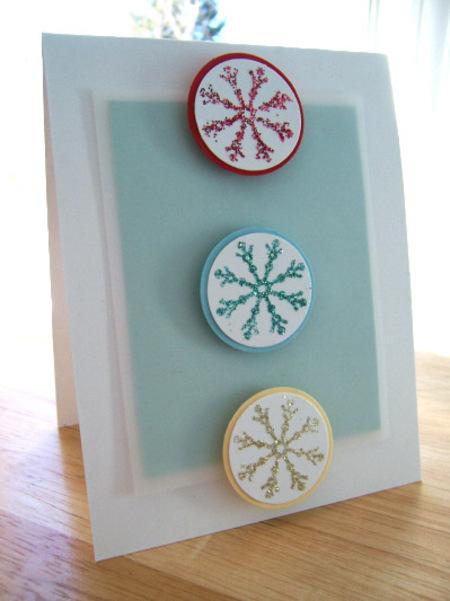 Lauren made this pretty trio by stamping the snowflakes with a Tsukineko glue pad, then sprinkling on glitter.